After I printed my digi out, I colored it, and, with great difficulty, cut it out. I then popped it up on dimensionals onto designer paper from My Mind's Eye 'Stella Rose'. 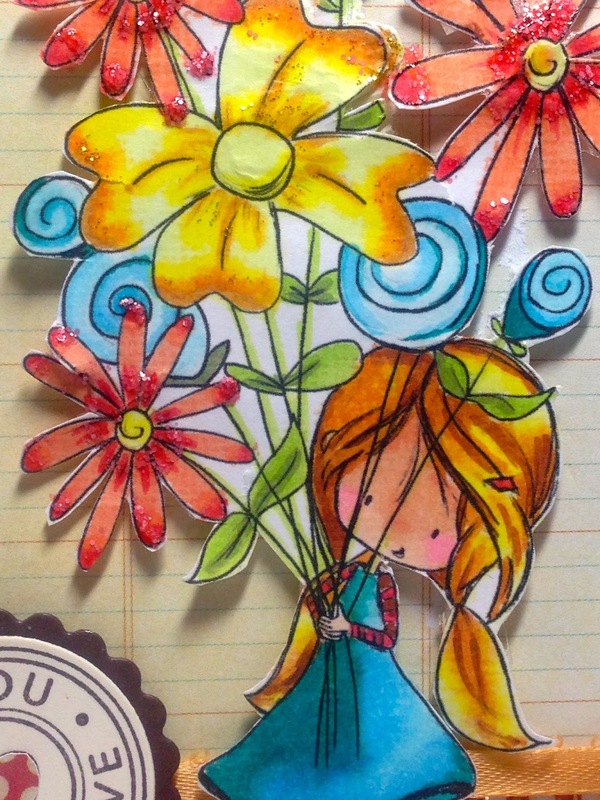 I put Stickles on the flowers. My sentiment is from retired Stampin Up! "Riveting". I added ribbon, and punched a heart shape out from designer paper for embellishment. 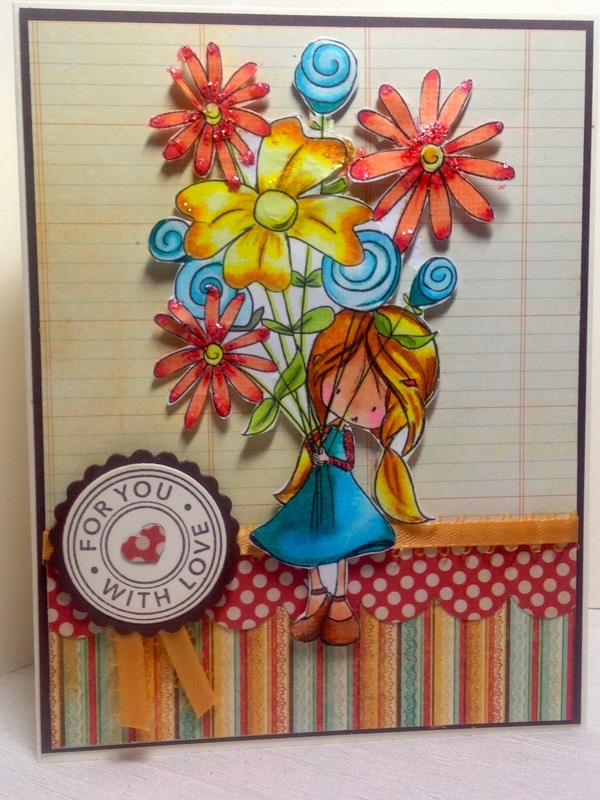 I used dies from Spellbinders and MFT to create the various circles and scallops. Have a great day! The weather is going to be beautiful here again today! Then next week, it's going to get cold again, so I'm gonna go out and enjoy it while I can. Hi Amy, so sweet and nice! Oh love this sweet image, so nice card !